The original Heroes of Loot was one of my favorite games of 2013, and as a bonus fun fact, it was our ninth ever Game of the Week pick. 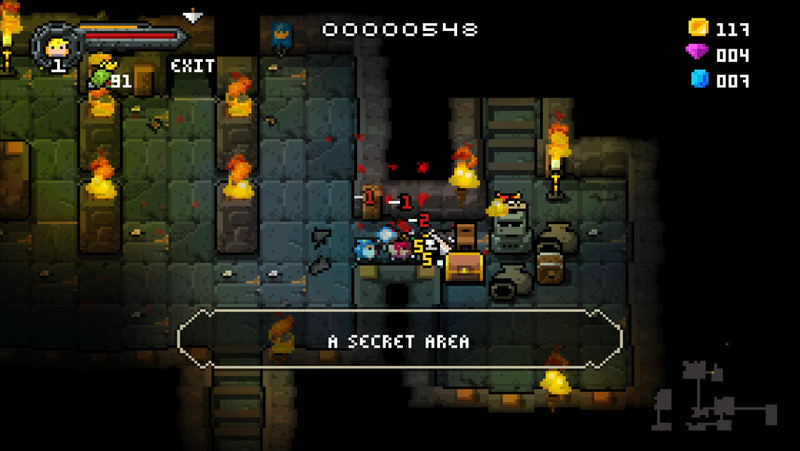 Now, nearly 3 years later and its sequel Heroes of Loot 2 ($3.99) has bashed in the walls of my ribcage and found the secret entrance to my heart. Most roguelike dungeon crawlers are slower-paced, methodical, and highly strategic affairs where every move you make can be a game changer and even if you play your best the RNG gods can swoop in and screw you. Heroes of Loot was the antithesis of that. It had dungeons for crawling, loot for grabbing, enemies for killing and plenty of cool offensive moves to do so, but slow-paced and methodical it was not. It was more akin to an arcade shooter as you quickly ran from room to room and floor to floor just obliterating anything in your path, collecting a bunch of sweet loot, and ultimately meeting your end as the difficulty ramped up. Heroes of Loot was a fun, exhilarating experience but a lack of depth meant it didn’t have the staying power as some of the best roguelike dungeon crawlers do. It was great to whip out now and again, but probably not something you’d play for five hours straight. Heroes of Loot 2 finds a nice balance between the two. It’s not quite in the middle, as it’s still very much a frantic, over-the-top “arcade" take on a dungeon crawler, but there’s certainly a lot more meat on the bones this time around, and it’s so far made all the difference to me. The biggest change is the ability to swap between two playable characters at will. You’ll choose one ranged character and one melee character at the onset, and familiar faces from the first game return: Elf and Wizard are your ranged options, and Warrior and Valkyrie are your melee options. Plus there are 4 new characters already planned for an update, and even more different characters could arrive in the future with limitless possibilities. The game leans heavily on your ability to swap players with many enemies who are best handled up close and personal, and many who are best dispatched from a distance. While most of the core gameplay of Heroes of Loot 2 remains the same, lots of the first game’s ideas have been fleshed out. The quest system is a lot more interesting, the shop provides more options mid-game, and your characters have the ability to level up during a run and there’s a more persistent overall level that takes into account all your games played. Not to mention the improved visuals and improved dungeon generation this time around. Developer Orangepixel even states in our forums that “this is the game the original one should have been, but I simply wasn’t capable of making 3 years ago" and that feels totally on point to me. The original Heroes of Loot was great, but this sequel fully realizes that vision and introduces enough new aspects to make it a deeper experience while not losing what made the first game so darn fun. Heroes of Loot 2 is a bonafide masterpiece and a no-brainer for our Game of the Week pick.